Cowboy boots are always the most hunted items for men at any time. In the past, they were designed to serve the purposes of riding horses, walking, or guiding. However, nowadays, its functions have expanded to become a type of footwear for high fashion. In this day and time, most men like western styles; therefore, they often look for cowboy boots to dress up and make them look trendier. Furthermore, these boots are multifunctional that they can be used in any occasions such as taking part in outdoor activities, or keeping warm in the winter. 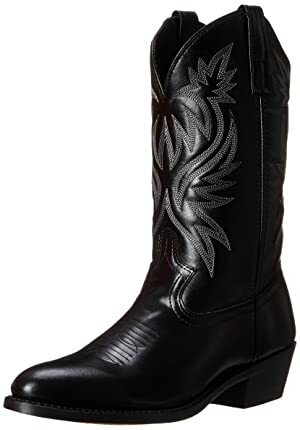 In this article, I will provide you a collection of the top best men’s cowboy boots. 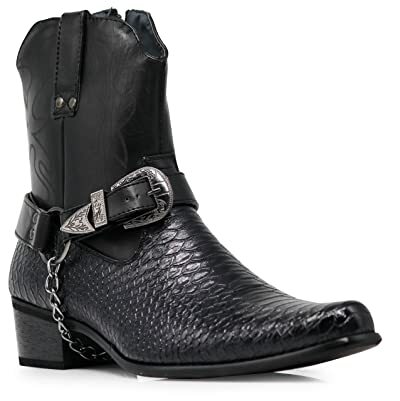 My first pick is the men’s crocodile prints western cowboy boots. If you are a fashion lover, you will absolutely love it much. With a strong design, this footwear has gained the popularity on the market of many countries in the world. This pair attracts buyers by its unique design and high-quality materials. In terms of design, it is totally different from old versions and other boots come from eastern areas. This pair of boots looks heavy and solid, which bring you a firm feeling. Me will look cooler and more masculine on this pair. There are two color choices for you to choose, including black and brown. These colors are beautiful, so you can opt for any color you want, based on your preference. Furthermore, these boots are available with crocodile prints to create a trendy style and not look bulky as normal. Additionally, they come with a side zipper for putting on and taking off easily. The belt buckle and metal chain are added to improve your style. Another aspect that we can’t ignore when we select boots, which is material. It can be said that the design is the first thing that buyers look at, but the material affects their decisions whether buying that pair or not. Fortunately, this pair of cheap men’s cowboy boots meets all these requirements. 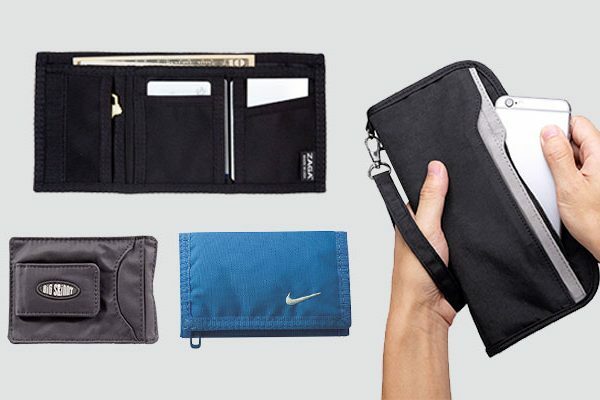 It is made of high-quality synthetic, which features durable, soft and smooth. It would be a good idea to wear this pair in the winter. Besides, this pair can help to protect your feet, if you wear it to participate in outdoor activities. The next option is from Ariat brand. 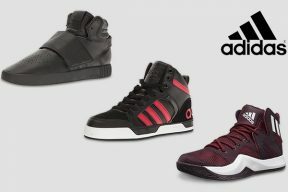 This is one of the most reputable brands in the world with a large number of high-quality footwears. The Ariat brand has applied innovation in designing boots to bring the best experiences for the wearers. One of the most impressive Ariat pairs is Tombstone. These boots are highly appreciated by customers over years. It is undeniable that this pair of boots has a good performance, durability and comfort to help people work, or ride. 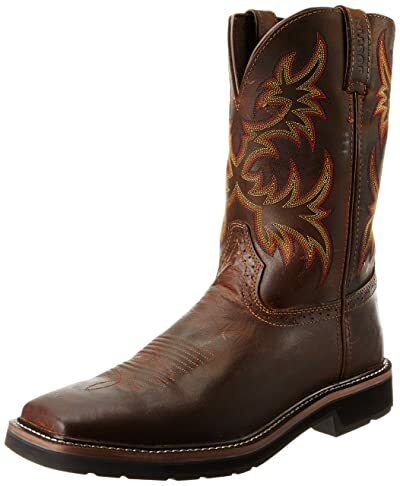 In addition, with outstanding patterns, this pair of men’s cowboy boots on sale looks very stylish, so you do not need to worry about being out of date. The measurements of this pair are around 13 inches from the arch, and 1.5 inches of the heels, and about 14 inches for the boot opening. To wear this pair of boots is very easy and comfortable, all what you have to do is to pull. The tombstone boots are made of 100 percent leather, so you can feel free to wear it at anytime and anywhere with the regardless of the weather condition. In addition, with the durable sole, this footwear can stop you from being slippery. Specially, these boots own many wonderful features to help you always feel relaxed when wearing it. The first feature is its moisture absorbent for the best comfort. 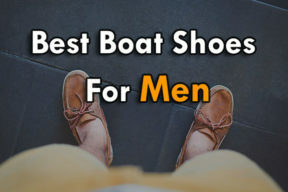 Besides, it is light enough to avoid hurting your feet. The next feature that convinced me to purchase is the stability. The men’s cowboy boots with crosses come with six different colors to give you more choices. If you love cool boots, this is a should have footwear in your boot collection. There are two different colors, including rugged tan and tan tail, one is darker and one is lighter. I chose the rugged tan because I often go out and take part in outdoor activities, so I prefer dark color to make it look clean. One of the most attractive things about these boots is its patterns, which are unique and fashionable. Furthermore, their toes are square shaped as any other western boots. The Justin original work boots are the best one, which is durable, strong and stylish. I don’t know how long this pair can last, but I have worn it for 3 years, and now, it still works well without problems. Edges are sewn carefully to avoid tearing as the other pairs on the market. With a very affordable price and good quality, this pair of boots had become the first pick of men in recent years. It is the bestselling product of this brand. When you put your feet on, you will feel very comfortable and soft. The men’s cowboy boots clearance is made of the real leather to last their longevity. Besides, there is a comfort insole, which is removable. 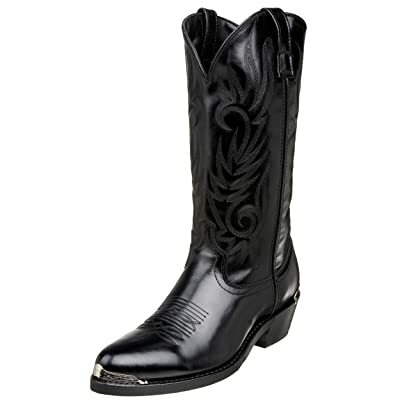 I always give my priority to products of Ariat brand due to their top-notch products and fashionable look. At the first sight, I did not put much impression on this pair because of its strange look. However, when taking a look at it carefully, I decided to buy it right away. The outside of these Ariat men’s cowboy boots impressed many people with the patch design. The mixture between different colors from light to dark created a new style for that pair. It is frankly to say that without the patch patterns, these boots are just like the others. The patch patterns make it look new and strange to anyone. To help buyers have a right decision, this brand gives the specific dimensions of these boots. Its shaft measurement is about 10.25 inches measured from the arch, while its boot opening is 20 inches. 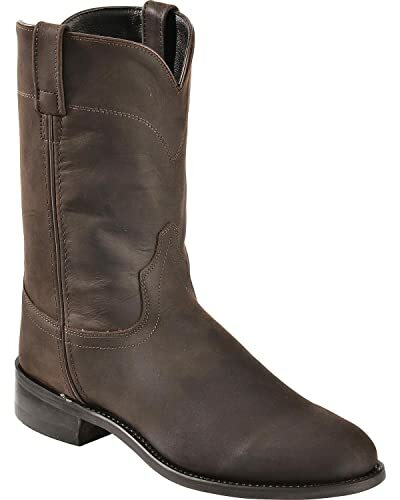 The same as the above pairs, this Ariat pair of men’s square toe cowboy boots are made from leather with the rubber sole to make sure of the durability and multifunction. Furthermore, its toe shape is a wide square. With this design, this pair of boots can be suitable for all people. 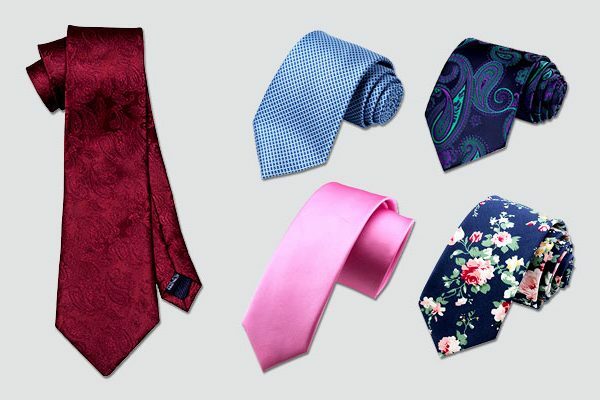 You can mix it with any outfit you want to change your style to make yourself become a stylish man. The next model I want to introduce to you is a pair come from Laredo brand. When I first heard the name of this brand, I did not impress much because they do not release so many products as the other brands. But, if you take a look at their products, or McComb western boots are a great example for their high-quality product lines. McComb boots are considered as one of the bestselling products, which are the favorite item of men all over the world. 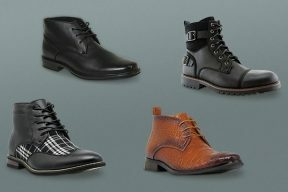 Furthermore, with a strange, but unique design, these boots is listed in top worthy to buy boots. The McComb has four different color choices with unique patterns. Generally speaking, I paid for this pair right at the first sight. Compared to other boots in my collection, I saw that is more beautiful and comfortable to wear. The Laredo black men’s cowboy boots are made of 100 percent of either leather or synthetic, it depends on what you choose. With the regardless of the types of the material, these boots are very strong, and solid. You will always feel comfortable, even you wear it all day long. Additionally, its shaft measurement is around 13 inches from the arch, heel’s is about 1.5 inches, and boot opening is around 15 inches. These boots belong to the traditional style, which come with a metallic plate at both toe and heel, as well as an elaborate tonal stitching. 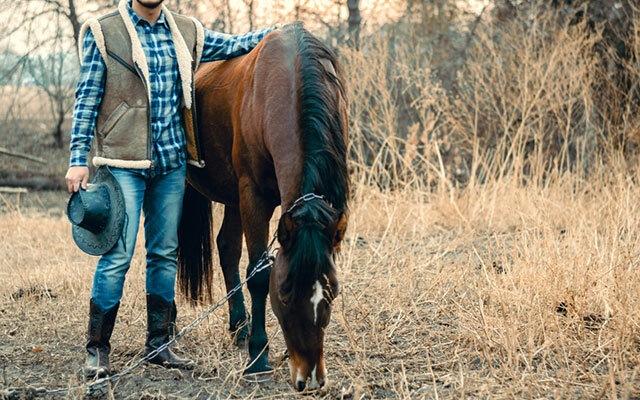 The Ariat brand is always on the first rank for the simple, but fashionable boots. If you are fed up with colorful boots, and you want to find out some normal boots, here is a suggestion for you. Similar to any boots in this list, the men’s round toe cowboy boots are incredible with numerous wonderful features. The first thing I want to mention here is its design. Although these boots are not padded much or have high ankles, it attracts customers by the feelings that it brings us. There are two different colors in these 9.5 men’s cowboy boots. From the ankles up to the top, it is a bright color, while the left part is darker. These boots are made to meet the needs of athletes, but now, it is widely used by many people. Its material is leather with the rubber sole to ensure that you will never feel slippery when it’s rainy. I’m sure that this pair of boots will not disappoint you because it is extremely soft with four layers of the footbed. Besides, a stabilizing shank, which is lightweight, is added to support wearers. All what I have to say about this pair is excellent. My feet are pretty big, so it is very difficult for me to get the right size. Furthermore, most of the boot models on the market seems to fit small and medium sizes, not for big. But I found these boots with full size. Actually, I’m not tall, but I don’t like padded heel much; therefore, I spent a lot of time to search the boots that meet my requirements and this pair did. The heel measurement is just about 1 ½ inches, platform is ¼ inches, and boot opening is about 13 inches. The shaft dimension is about 11 ½ inches. These dimensions are very suitable for me. Inside the boots, it is extremely comfortable with the cushion sole. You will never feel hurt when you wear that. Moreover, with the carefully designed for the rubber sole, you can feel free to walk on any surfaces. I found that this pair of extra wide men’s cowboy boots is stretchable, so you should not worry, if this pair does not fit your feet at the first time you wear. 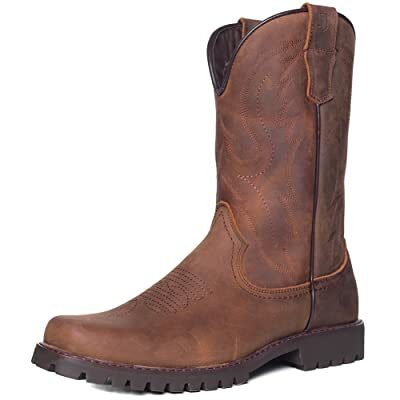 This Dingo men’s slouch pair of boots is made from 100 percent leather for durability. It’s classical style, not modern, but still trendy and convenient. If you love classical styles and want to back to the old time, you can refer the old west men’s leather roper cowboy boot. 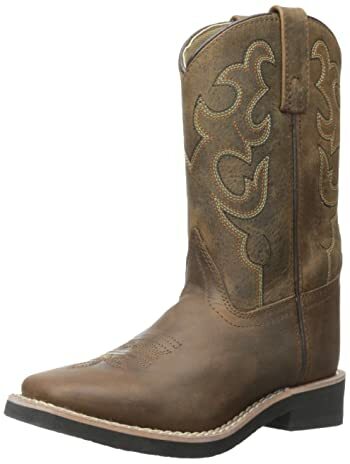 This kind of boots is a very typical item for men in the west. These boots have five different color choices, including distressed, black, black cherry, brown and tan. This leather roper pair is not bulky at all, but stylish. You can mix and match to create a new style for yourself. Besides, the old west men’s leather roper cowboy boots have become one of the most hunted ones because of the round roper toe and the low shaft height. Although these boots are made of full leather, it is not difficult to wear. Due to the real material, you can clean this pair easily. 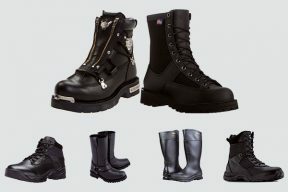 To protect it, all the lines are sewn carefully, so you can take the use of these boots to do any activities you want. This pair of cowboy boots has right sizes to fit you well. You will never feel tight when you put these 10.5 men’s cowboy boots on. This is not only friendly price, but also good quality. There is no uncomfortable feeling. Let’s make a choice and have wonderful experiences. Most people do not want to buy a pair of boots for children because they think that boots are more expensive than other shoes. However, this opinion is totally wrong because I found one, which comes with a great price. It is the Kids Pueblo leather cowboy boots. These boots are not only stylish but also affordable. In fact, children are really interested in cowboy boots that they see on the TV. Therefore, it would be a good idea to give them a pair of these boots on their special days. The Kids pueblo leather boots are a wonderful suggestion. I believe that your kids will be on cloud nine when they see it. I gave to my son and he absolutely loved it. You can turn your kids to a fashionable model with these boots. This pair is various in colors. Specially, its versions are mixed colors smartly to make unique styles. I opted dark crazy horse for my son because he likes that color. 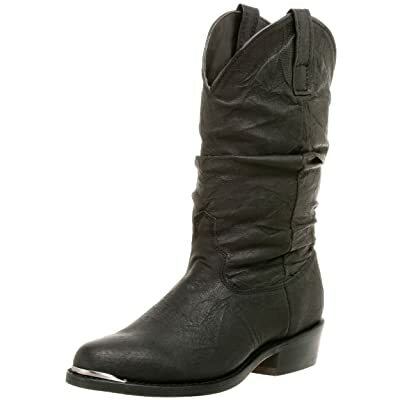 With the rubber sole and roper heel, these men’s cowboy boots size 6 are very safe for children to wear. Additionally, the cushioned insole is extremely comfortable. This pair is very durable with leather material and fashionable with the square toe. 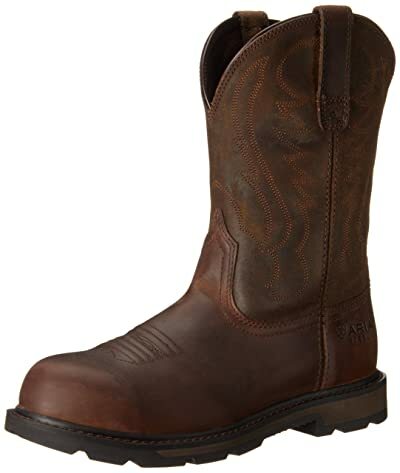 Another pair of men’s cowboy boots near me is from Ariat brand, too; therefore, I never ignore any version. 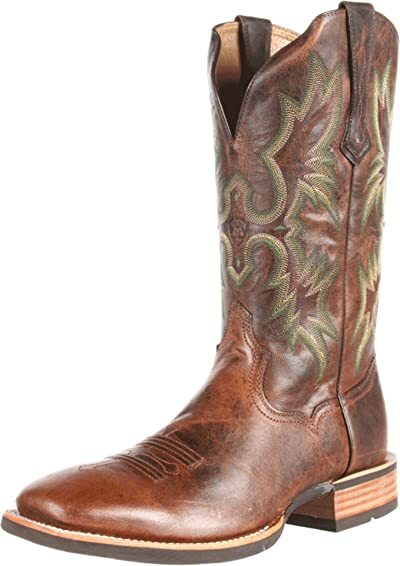 Ariat Men’s rambler wide square toe western cowboy boots are my choice. The same as any products of Ariat brands, the quality of these boots are really good to provide you countless wonderful experiences. If you worry about choosing the preferred color, you can stop that because this version of Ariat has about 5 different color choices. 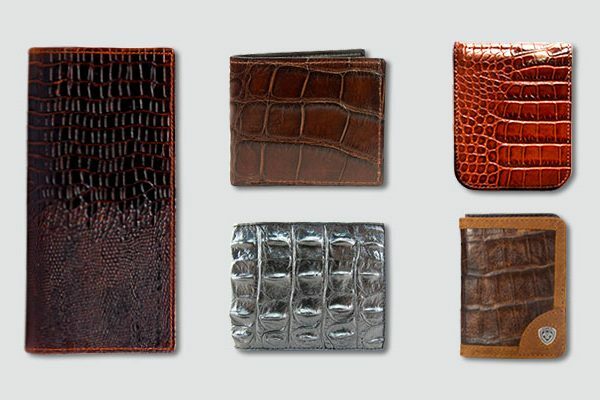 It is made from real leather to ensure its quality. Furthermore, the dimensions of these inexpensive men’s cowboy boots are reasonable, which are not too high or low. Its shaft is about 11 inches measured from the arch, and the heel is just only 1.62 inches. Actually, for men, we do not need high heel because it will make them look famine. Therefore, 1.62 inches of heel is fine. The pattern of this pair is quite strange with stitching. The square toe design makes you have a young and active look. That is applied the advance torque technology for stability to provide you the wear resistance. It is flexible to wear them all the time. 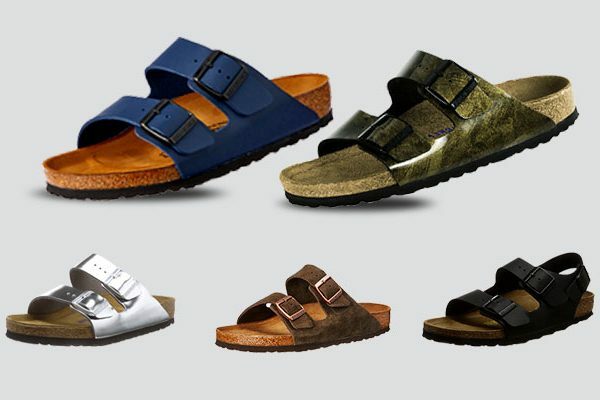 The footbed is designed with the moisture wicking system to keep you feel comfortable and airy. 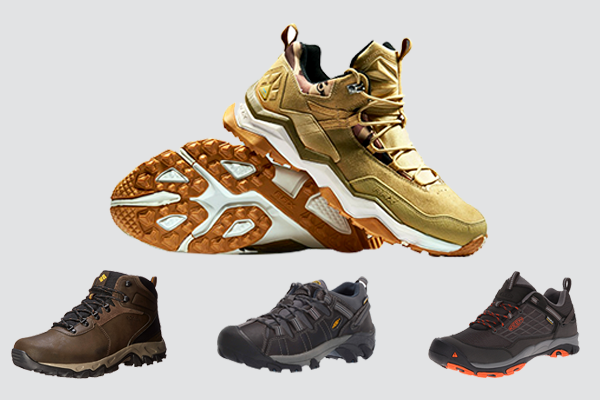 If you do not care much about footwear, you may not know about this brand, but it is quite popular and reputable with a huge number of high-quality products. 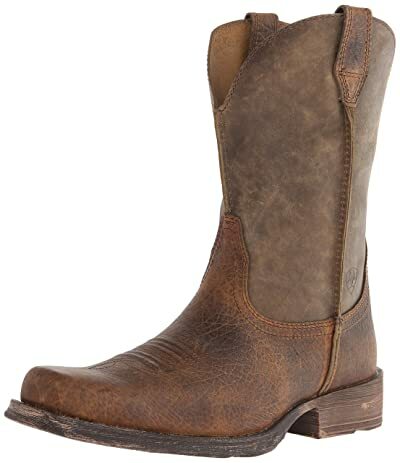 One of their products that I like most is the pair of J’s.o.l.e men’s square toe western work cowboy boots. Similarly, its material is leather to provide the durability, luxury and fashion. For every product, this brand has a tendency to recommend ways to mix with different outfits to look better. 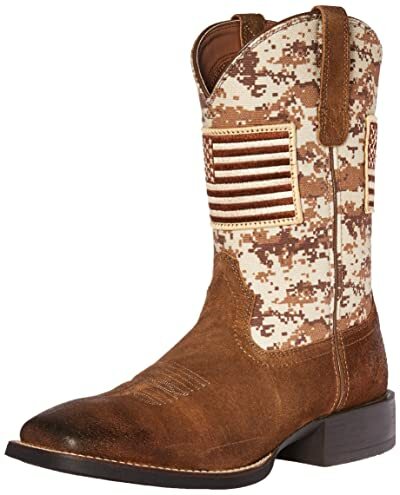 It would be awesome, if you match these boots with a cowboy hat, jeans and belt. You will have a fashionable and cool style as you want. The design of this item is really special with a basic scratch to have different shades. However, in case you choose this pair, you need to check out some tips to take care of the scratch. These western boots own lots of beneficial features, such as row stitches, mesh lining, removable insole, slipping resistance, handmade and leather material. The dimensions for these boots are 1.3 inches of heel, 0.6 inches for platform, and 11 inches of the shaft. There are two color choices, including black and brown. The last pair of boots is Laredo boots. Although I think Laredo boots are the most comfortable ones, I like their design. The decoration of those boots is very new that you can’t find out in any products of other brands. They have a perfect combination between color and pattern to create a unique pair of boots. This Laredo pair of boots is made from both leather and synthetic. These materials are quite good. They look shiny, and solid, but smooth when touching. If you put your feet on these boots, you will feel very soft. The soles of these boots are made of synthetic material. The most special feature of these boots is its color table with 10 different choices. Its dimensions are quite reasonable with 12-inch shaft, 1.75-inch heel, and 15-inch boot opening. Besides, these boots are a perfect pick for children, men and women. They have an excellent style and quality with a good price. You will look elegant, and masculine when you wear these boots. Generally speaking, boots are must have items for men to change styles and renew themselves. It will be boring, if you just have only sneakers in your shoe collection. Hope that these men’s cowboy boots can help you have more selections and get the best fit for yourself.